Moviewall - Movie Posters, Wallpapers & Trailers. 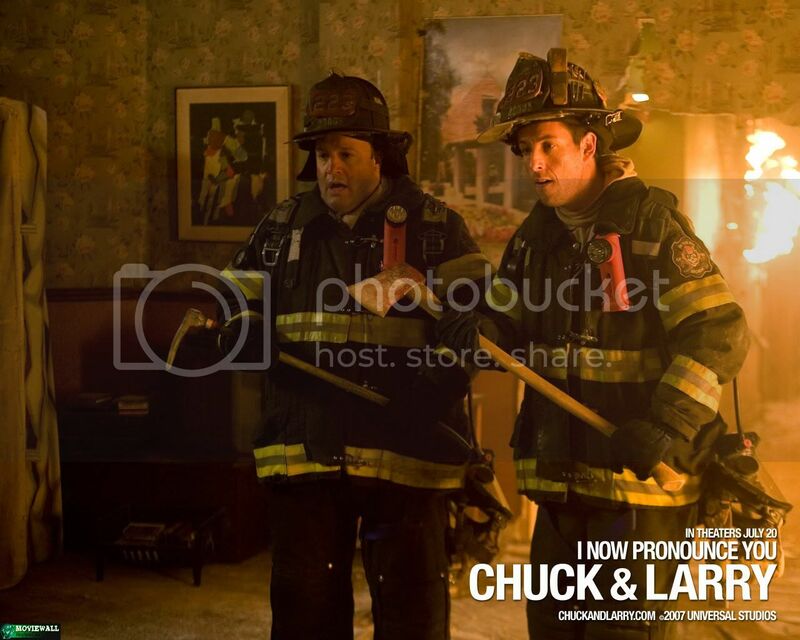 : I Now Pronounce You Chuck and Larry. 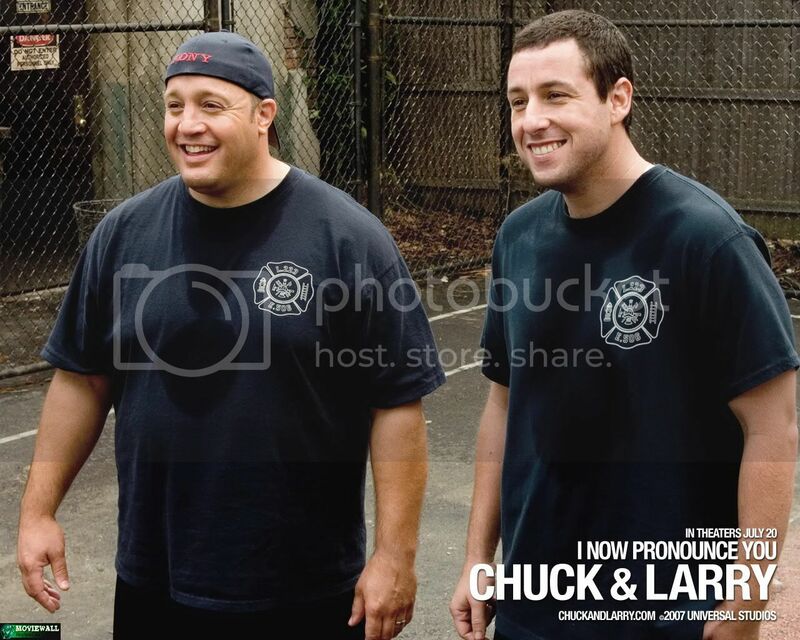 Chuck Ford (Adam Sandler) and Larry Allensworth (Kevin James) are the pride of their fire station: two guy's guys always side-by-side and willing to do anything for each other. 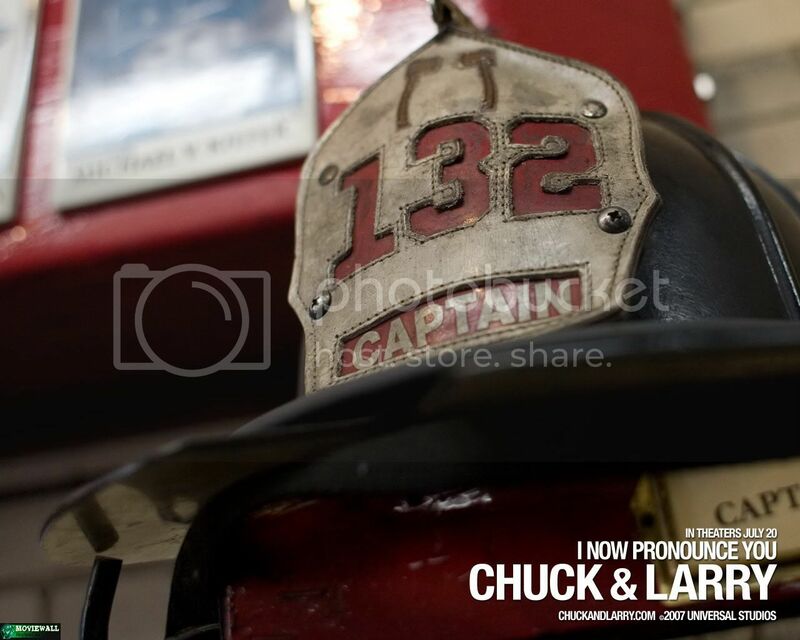 Salt-of-the-earth widower Larry wants just one thing: to protect his family. 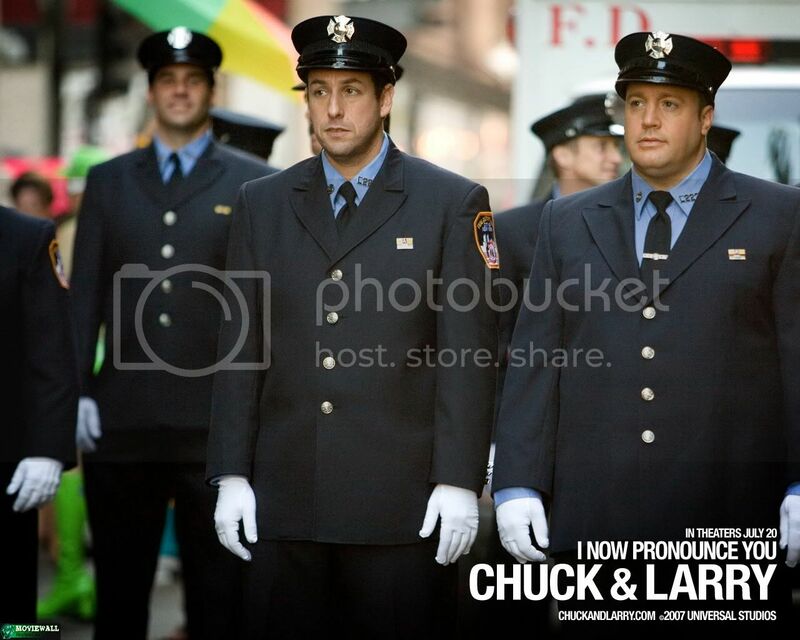 His buddy Chuck also wants one thing: to enjoy the single life. 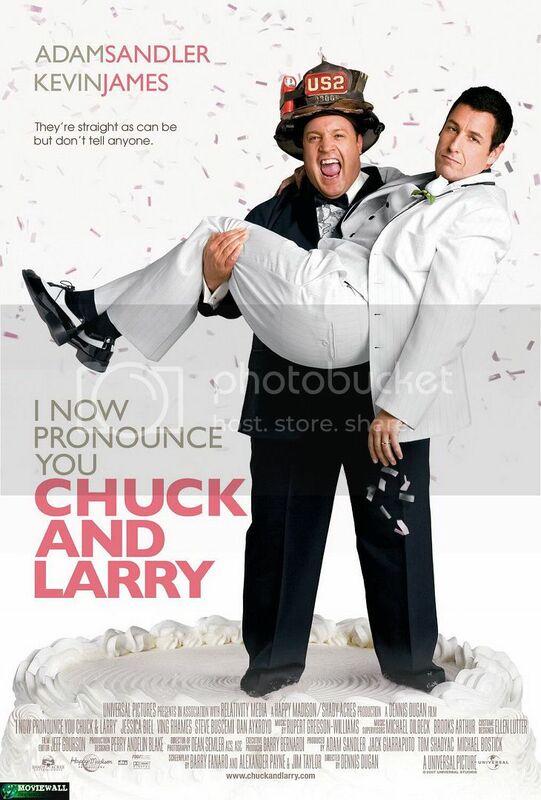 Movie Title: I Now Pronounce You Chuck and Larry. 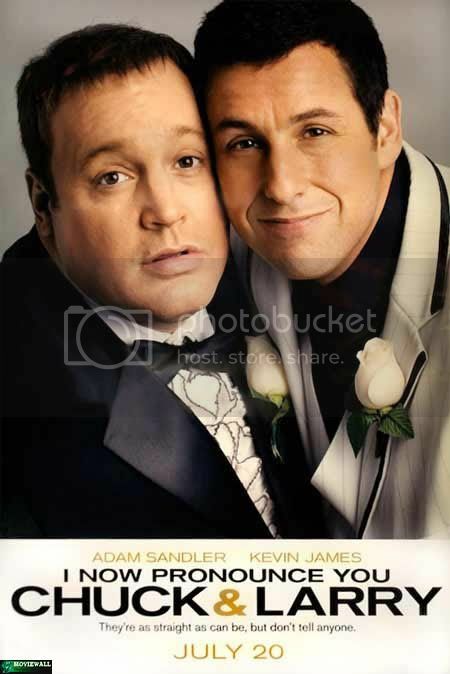 Starring: Adam Sandler, Kevin James, Jessica Biel, Steve Buscemi, Dan Aykroyd. Writers: Barry Fanaro, Alexander Payne, Jim Taylor.